The house had nice outside grounds. Unfortunately, the weather was wet and cold and we weren't able to enjoy them. It would have been nice to have an ironing board and an iron. Also, if we are expected to run the dishwasher, it would be nice to have dishwasher detergent on site. We had to make a special trip to get some. Other than those items, we had a great stay. Where to find Saugatuck hotels near an airport? Where can I find hotels in Saugatuck that are near tourist attractions? Planning to spend some time in Holland? 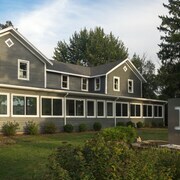 Hoping to find accommodation in the Saugatuck area? 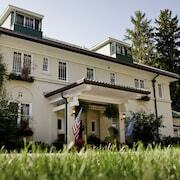 Saugatuck offers 9 quality hotels within easy driving distance of the heart of town. Why not book a convenient spot close to the beating heart of Saugatuck? 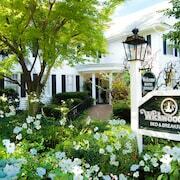 The Hidden Garden Cottages Bed & Breakfast and Maplewood Hotel can be found a short distance of the town center. 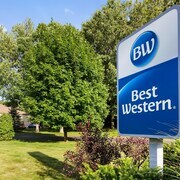 One of the relatively small number of budget-oriented accommodations in Saugatuck is the Best Western Plaza Hotel Saugatuck. 17 kilometres (10 miles) away from the middle of Saugatuck, is the DoubleTree by Hilton Holland. Alternatively, the Hampton Inn Holland is 20 kilometres (13 miles) away. Two other hotel and apartment options here are the CityFlatsHotel - Holland and the Residence Inn by Marriott Holland. After you have explored Saugatuck, why don't you explore a little further afield? The Southwest Michigan district has a number of things to offer visitors. Spend time at Southwest Michigan's art galleries. Those who love nature could also take the time to admire its forests and lakes. Common activities in this particular part of United States of America include cycling and shore fishing. The nearest accommodation options in Holland include Douglas and Butler Street. Douglas is 2 kilometres (1 mile) to the south of Saugatuck, while Butler Street is 0.2 kilometres (0.2 miles) to the north. 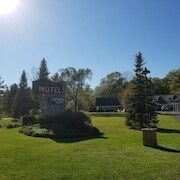 Douglas hotels and apartments include the AmericInn Lodge & Suites Saugatuck - Douglas and Blue Star Motel. While Butler Street accommodation options are the The Kirby and The Belvedere Inn & Restaurant. If enjoying sport is what you love, take the time to visit Van Andel Arena, which is 55 kilometres (34 miles) to the northeast of Saugatuck. For travelers who are interested in sleeping close by, make a reservation in the JW Marriott Hotel Grand Rapids or Courtyard by Marriott Downtown Grand Rapids. Muskegon County Airport is a logical airport for flying into and leaving Saugatuck. It is 55 kilometres (35 miles) away. If you would like to stay nearby, try the Fairfield Inn and Suites by Marriott Muskegon Norton Shores or Hampton Inn Muskegon. What are the most popular Saugatuck hotels? Charming Home in Great Location in Downtown Saugatuck! 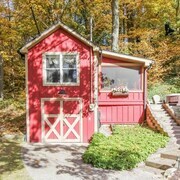 Cozy Cottage, Dog Friendly! Walk to the Beach From The Nutshell!! 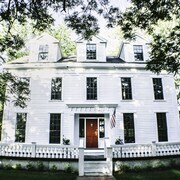 Are there hotels in other cities near Saugatuck? 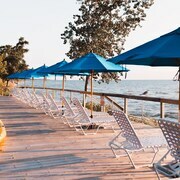 What other types of accommodations are available in Saugatuck? 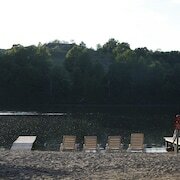 Explore Saugatuck with Expedia.ca’s Travel Guides to find the best flights, cars, holiday packages and more!